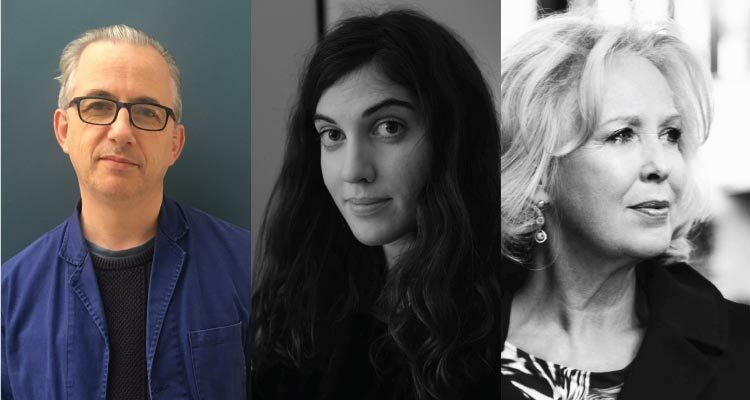 Four expert storytellers, emerging and established, will read from their exciting new work and discuss the art of short fiction now. David Hayden’s fiction has appeared in The Stinging Fly, Granta online and Zoetrope: All Story, and been broadcast on RTÉ and BBC radio. His debut collection of short stories Darker With the Lights On was published in 2017 and featured in The Irish Times choice of Books of the Year. Nicole Flattery’s stories have been published in The Irish Times, The Dublin Review, The White Review, Winter Papers, The Letters Page, and The Stinging Fly. She is a recipient of the Next Generation Artists’ Award from the Arts Council and the White Review short story prize. She lives in Galway. Show Them A Good Time is her first book. Mary O’Donnell is one of Ireland’s best known contemporary authors. Her seven poetry collections include Spiderwoman’s Third Avenue Rhapsody (1993) Unlegendary Heroes (1998) both with Salmon Poetry, and Those April Fevers (Ark Publications, 2015). Four novels include Where They Lie (2014) and her best-selling debut novel The Light Makers, reissued last year by 451 Editions. Her new fiction collection, Empire, was published by Arlen House in 2018. She teaches and lectures, most recently at the University of Sao Paolo, Brazil. She is a member of Aosdána. “Quietly innovative, subtle of tone, full of feeling—this is a superb debut.” – Kevin Barry. “Smart as a whip, unusual, and very very funny, Flattery’s distinctive prose is a real treat.” – Claire-Louise Bennett. “A fine collection that confirms Mary O’Donnell’s standing as a fiction writer of real substance.” – The Irish Times. This event will be chaired by Lucy Caldwell. Caldwell was born in Belfast in 1981. She is the author of three novels, several stage plays and radio dramas, and a collection of short stories.